The first movie that comes to mind when I think of Christmas is The Grinch who Stole Christmas. I can remember getting to stay up every year to watch it and this year I’ll finally be able to sit down and watch with my girls. In order to make the night one the girls will always remember, I’m going to make Grinch Munch! 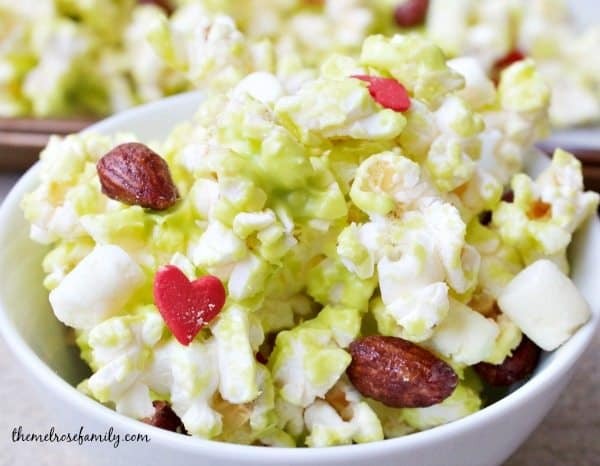 My popcorn recipes are quick and easy and they are the perfect salty and sweet combinations. 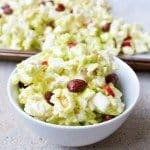 They use minimal ingredients and they come together within minutes. 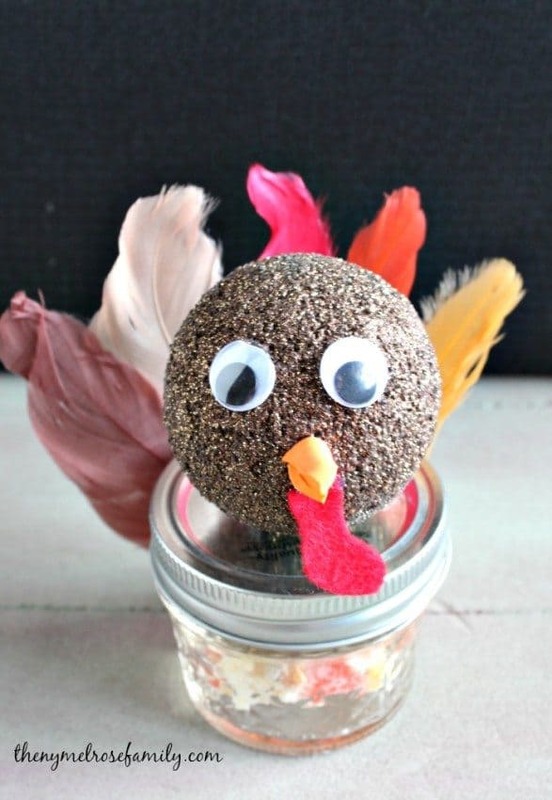 Plus, they are easy to throw together so that you’re not spending all day in the kitchen Instead, you get to spend more time with the cuties in your life. My favorite scene from The Grinch Who Stole Christmas is of course when his heart grows three times the size. The red candy hearts in the Grinch Munch makes me smile every time. I’m hoping that my girls will notice the message that is being portrayed in the movie. I want my girls to understand that there’s more to Christmas than just the presents. You’ll want to be sure to order the Wilton Jumbo Heart Sprinkles so that you’ll have them on hand for all things Grinch. I have a Grinch red velvet truffle coming out in a couple of days that you’ll also need them for so do some shopping and be sure to add them to your cart. You can also find the Raspberry Glazed Almonds on Amazon as well. Pop the microwave popcorn according to the package instructions. 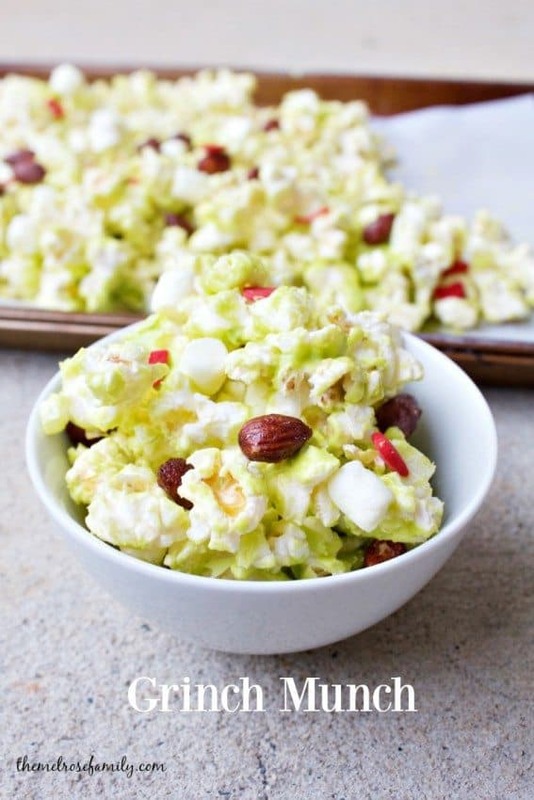 Line a cookie sheet with parchment paper and pour the popped popcorn onto it. Take out any unpinned kernels. 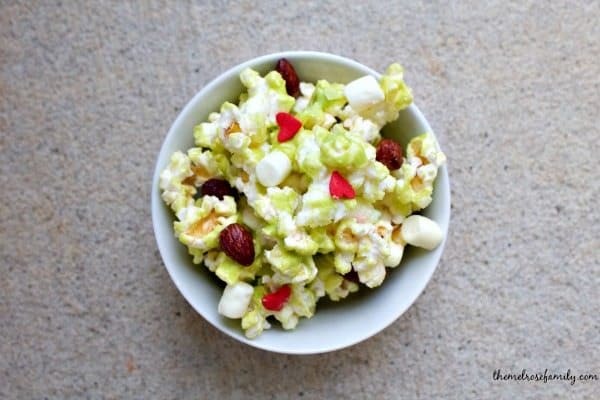 Add the raspberry glazed almonds and mini marshmallows to the popcorn on the parchment paper. 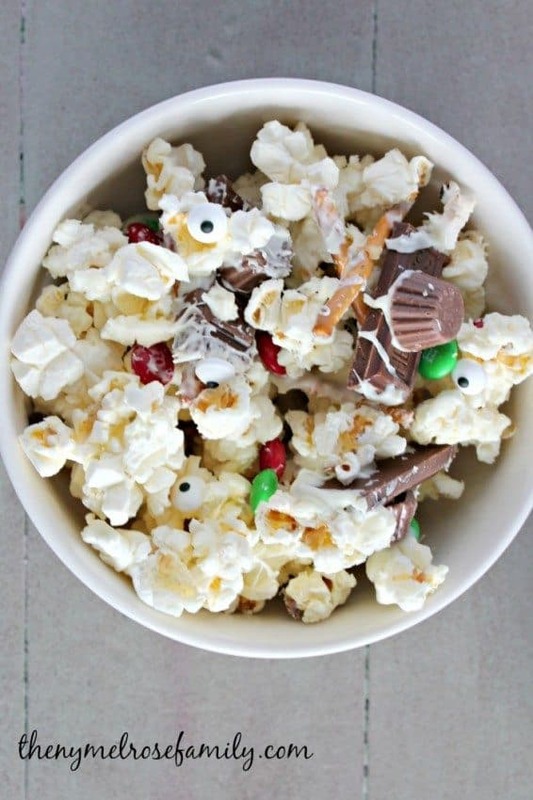 Melt the candy melts according to the package instructions and pour over the popcorn mix. 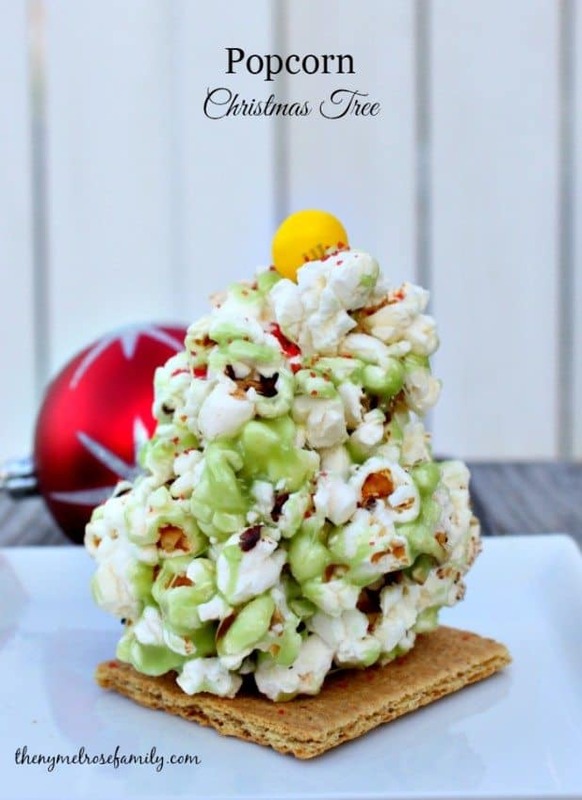 With your hands mix the popcorn mixture so that the green candy melt coats the popcorn. Sprinkle on the red heart candies and let the mixture sit to set.